As we travel this road of life, we soon discover that it will not be a smooth ride. Women wear many hat's in this life, serving and caring for family and loved one's in many ways. At times, it seems we struggle to be everything to everyone. ​As we coast along the occasional stretches of smooth "no problem" roads filled with sunshine, it is certain that up ahead, we will encounter stretches of road filled with trials. ​​It is on these trying roads that we are refined, shaped & strengthened. As we pray for an end to the road that causes us discomfort, we long for a rest area, an escape from our present journey. There often is no place where you can run to escape the rough road, but there IS a person who can encourage you on. She is there waiting to help in any way she can with words of encouragement and prayer. She is often the blessing that the Lord places on your path to share your sorrow and your joy. She is the "encourager" along the road. How would I describe a sister in Christ? She has the love of Jesus within and it shows. warrior and can be trusted in confidence. ​it may not be what you want to hear. She is always there...a prayer warrior for you. Yes, we all need a sister in Christ. ​We all should desire to be one. posts on the "Thoughts" & "Daily Prayer" page. May you find some answers and comfort here. 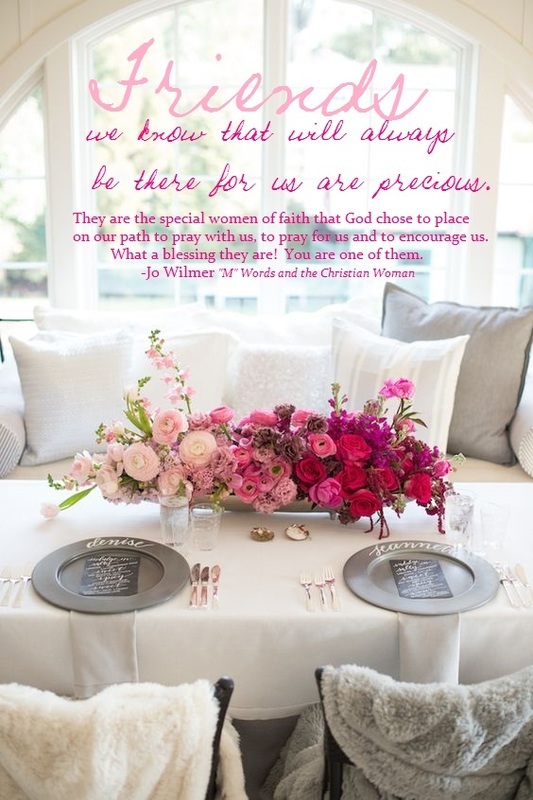 Are you unsure if you are a spiritually healthy woman? Let's clear up that uncertainty. You see, to be a spiritually healthy woman of faith, we need to open the door to our heart. We need to ask Jesus to forgive our sin (yes, we're all sinners), to cleanse and make us new. We can begin again, putting the past behind. It's so very simple. Only Jesus can heal the hurt, erase the past & make all things new! ​There is NOTHING that Jesus cannot forgive and cleanse. ​It is not about "religion." Religion is worthless. It's all about a personal relationship with Christ. Put all your questions, fears and uncertainty aside. Lord Jesus, I know that I am not the woman You desire me to be, and my sin separates me from You. I believe You died and suffered in my place. I come to you now for forgiveness & surrender my life to You.​ I now open the door to my heart. Come in, Lord Jesus. God does not promise health, wealth, or ease, God has promised to transform us from the inside out. Circumstances may not change, but our trusting & transformed heart will find hope & comfort.